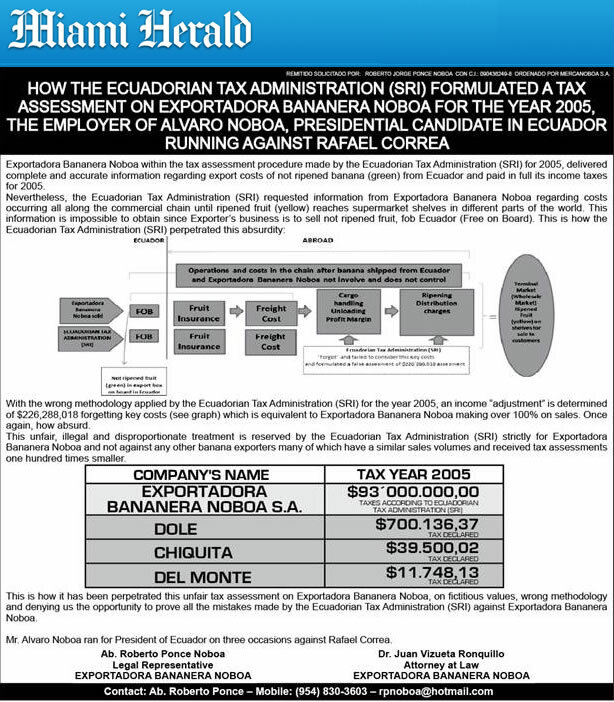 Exportadora Bananera Noboa within the tax assessment procedure made by the Ecuadorian Tax Administration (SRI) for 2005, delivered complete and accurate information regarding export costs of not ripened banana (green) from Ecuador and paid in full its income taxes for 2005. With the wrong methodology applied by the Ecuadorian Tax Administration (SRI) for the year 2005, an income “adjustment” is determined of $226,288,018 forgetting key costs (see graph) which is equivalent to Exportadora Bananera Noboa making over 100% on sales. Once again, how absurd. This unfair, illegal and disproportionate treatment is reserved by the Ecuadorian Tax Administration (SRI) strictly for Exportadora Bananera Noboa and not against any other banana exporters many of which have a similar sales volumes and received tax assessments one hundred times smaller. This is how it has been perpetrated this unfair tax assessment on Exportadora Bananera Noboa, on fictitious values, wrong methodology and denying us the opportunity to prove all the mistakes made by the Ecuadorian Tax Administration (SRI) against Exportadora Bananera Noboa. 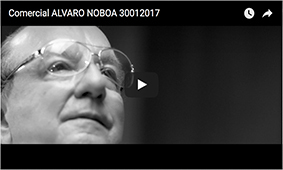 Mr. Alvaro Noboa ran for President of Ecuador on three occasions against Rafael Correa.